I shopped in ten stores, looking for a cute card for my nephew who was turning 18. I wasn't fussy about the theme, just wanted it fun and colourful. The same few pathetic cards showed up in several stores. The verses were absolutely lame. 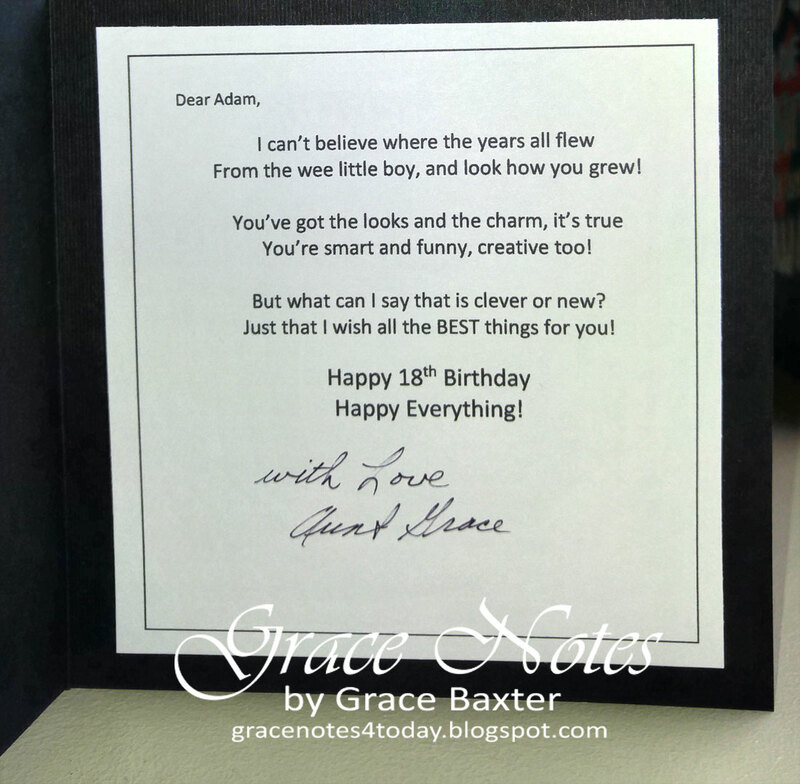 And then there was the plethora of disgusting, crude cards that I would never give to a young man -- certainly not my nephew. The card base is black, 5-1/2" square. For extra dimension I embossed it with a block design. 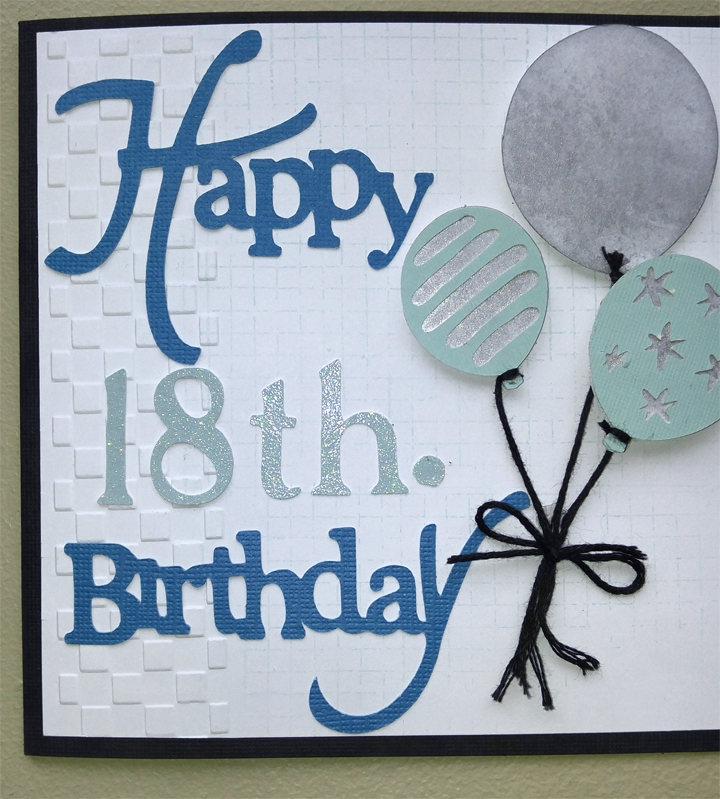 Then I lightly stamped the background with similar blocks. I use this simple technique to fill in bare spaces and add depth and perspective. 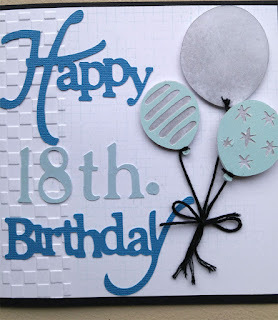 Sorry, I don't remember which font I used for "18th." View showing shine and sparkle of the light aqua and silver cuts. 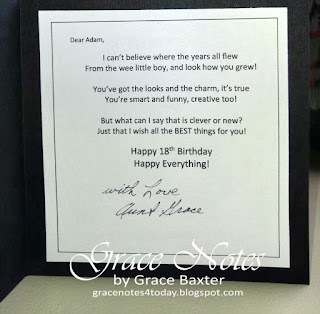 I wrote a poem written especially for my nephew, Adam. He was pretty happy with my card. And honestly, I could have saved myself hours of shopping, simply by making my own card in the first place!